Submitted Photo Donna Trusso holds her Well-being 100 Award. The success of The Resource Center’s employee wellness program has again garnered national recognition. 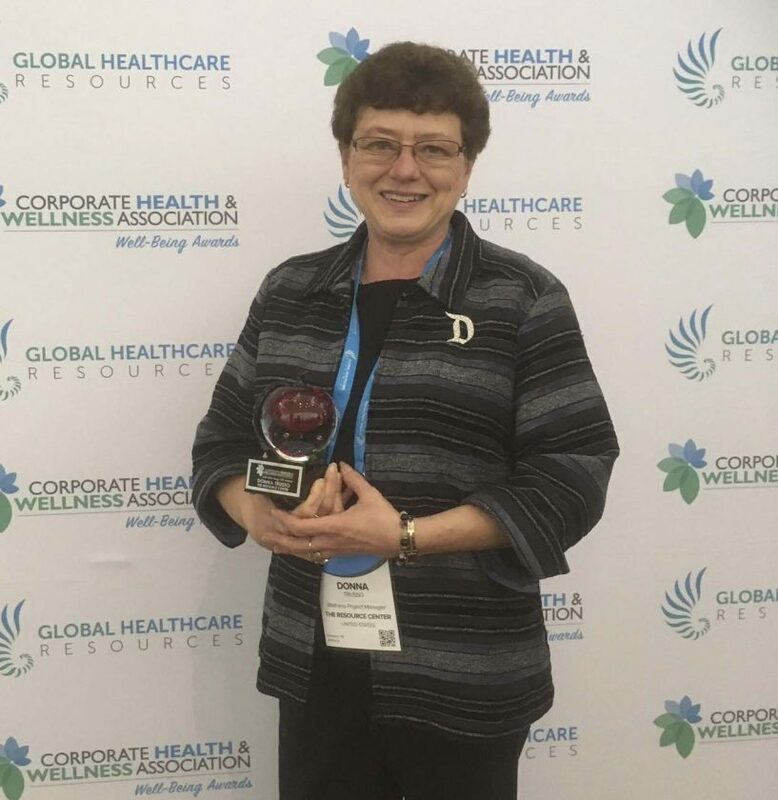 Donna Trusso, the manager of TRC’s STARS wellness program, recently was named to the Corporate Health and Wellness Association’s 2018 “Well-being 100” list of wellness leaders. The Well-being 100 Awards honor professionals, consultants, agents and brokers in the human resources, wellness and benefits fields who have done a good job in engaging employees to become healthier. Trusso and the other award recipients were recognized during the annual HEALTHCARE REVOLUTION convention in Orlando, FL. More than 500 people were nominated. The top 100 wellness leaders were not ranked, but the top 20 received recognition as wellness champions. Though not placing in the top 20, Trusso was happy to be included among the top 100 wellness leaders. “It really was quite an honor,” she said. Trusso said she was surprised when she learned she had been nominated for a Well-being 100 Award. She said that when she became a certified corporate wellness specialist in 2016, she met some people affiliated with HEALTHCARE REVOLUTION. They kept tabs on what Trusso and her STARS team have been doing at The Resource Center, and this year they decided to nominate Trusso. The Well-being 100 Award follows on the heels of TRC being named one of America’s 100 healthiest workplaces for a third straight year. 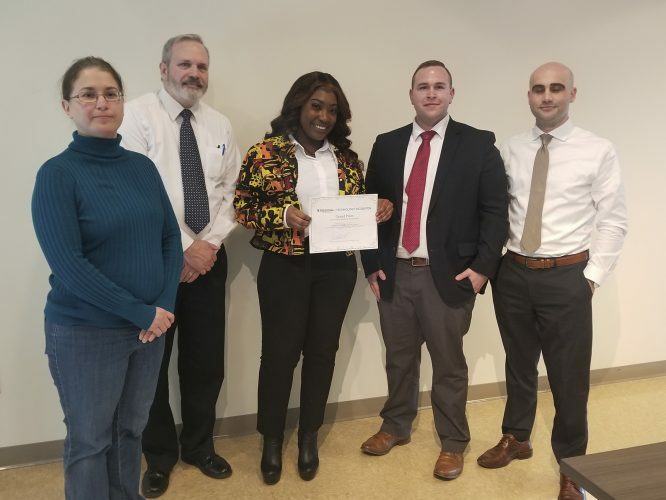 Trusso said that while the Healthiest 100 Workplaces in America competition recognizes successful wellness programs, the Well-being 100 Awards spotlight the program managers who deal with the day-to-day operations. She said one of the reasons The Resource Center receives such positive recognition is that TRC operates its own full-time, in-house wellness program, whereas many other companies contract with outside vendors to operate their wellness programs. Ultimately, Trusso said, it’s TRC’s workforce that has made the STARS program so successful. “A lot of the credit has to go to the people who have bought into this and are trying to make improvements in their lives,” she said. Implemented several years ago, the STARS wellness program assesses each person along five key life dimensions: basic needs, physical health, mental wellness, family/social relationships, and employment. STARS participants enjoy the opportunity to meet with a certified health coach to develop and monitor a personalized wellness plan; discounts on their health care costs and wellness activities; and the ability to earn incentive points that can be redeemed for prizes. Participation in the wellness program is voluntary. Many of the STARS activities, such as health coaching and the lunch-and-learn series, are open to all TRC employees, not just those who are enrolled in STARS. 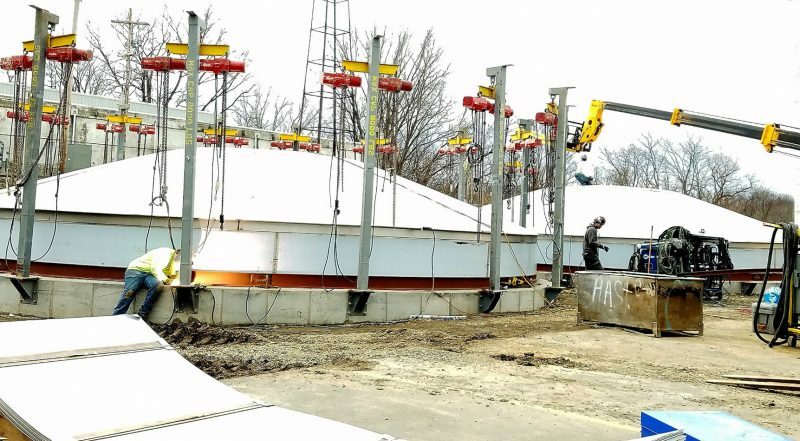 For 2019, Trusso said the program will expand to allow all TRC employees to earn incentive points.